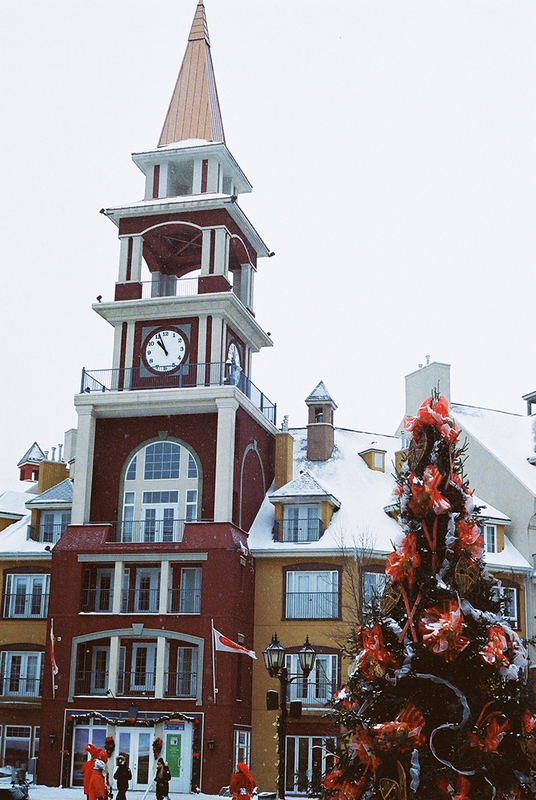 Between Christmas and New Year my Boyfriend and I went for a little snowboard trip with his family to Mont Tremblant, one of the biggest mountains near Ottawa. 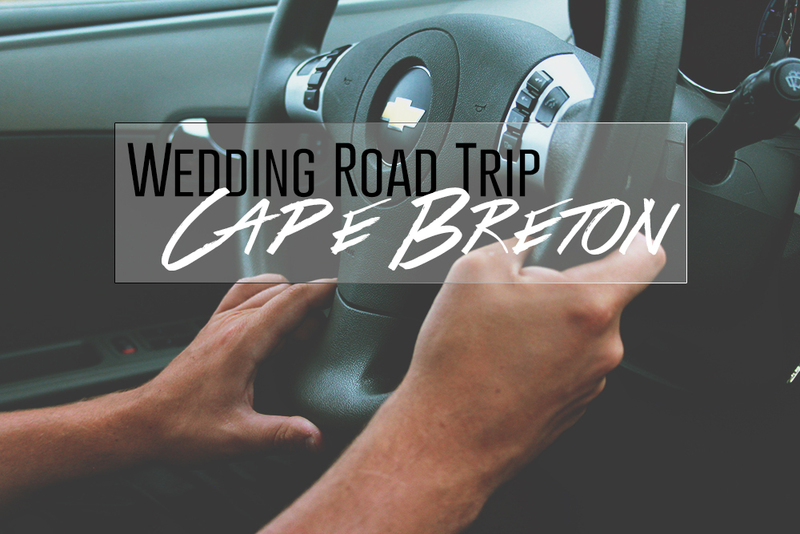 actually, its 2.5 hours away, but it is totally worth the drive! The first day we were there it was absolutely beautiful, only about -7 degrees Celsius with no wind, and there was almost a hazy fog surrounding the mountain. I took some gorgeous iPhone photos from the top of the mountain that I shared in last weeks Photography Friday. The following two days, however, were brutally cold. We did 90% of our snowboarding on the second day, and it was only colder at the top of the mountain! My boyfriend, his Sister, and I all snowboard, so it was nice being all on the same page. 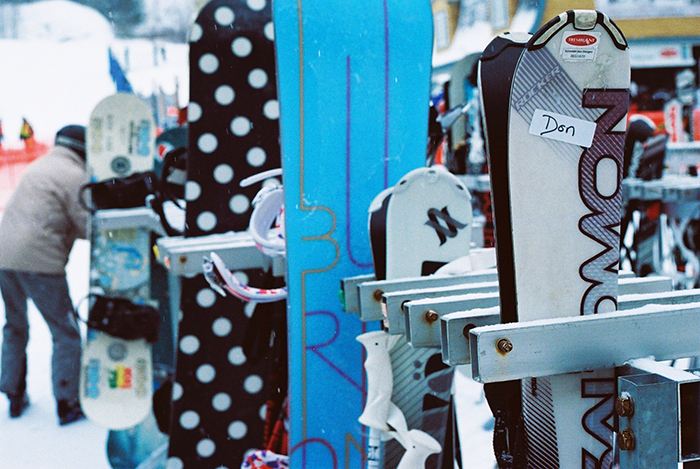 Anyways, without further adieu, here are the film shots that I got while I was there! 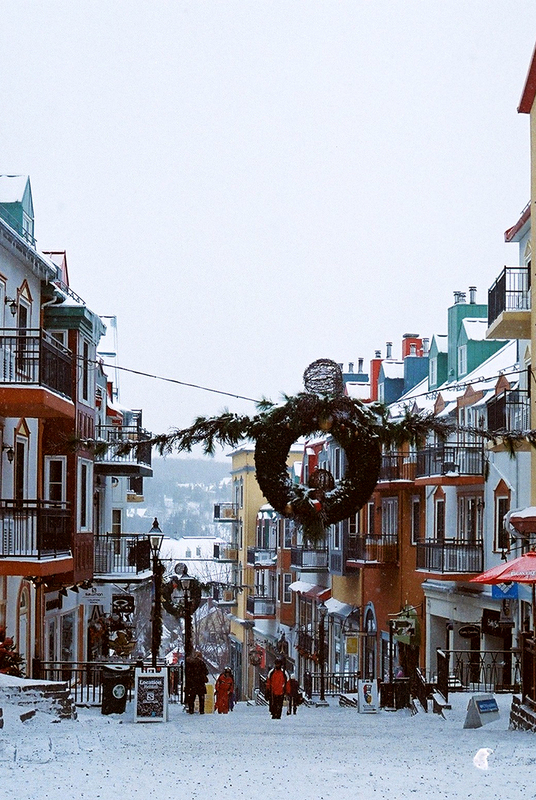 Mont Tremblant has a little village at the base with plenty restaurants, bars, and skiing/boarding equipment shops. It is incredibly beautiful, especially at night with all the lights. It really is more of a little village within the bigger town, and I very much enjoyed it! Shot with Lomography CN 400 film and my Canon T50 Camera. This is fabulous. 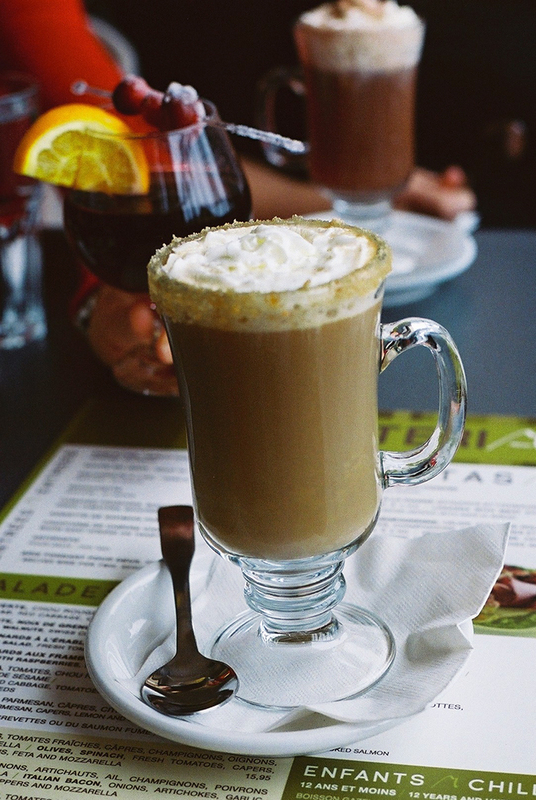 I am so envious of your amazing ability to use film, your shots are so powerful. 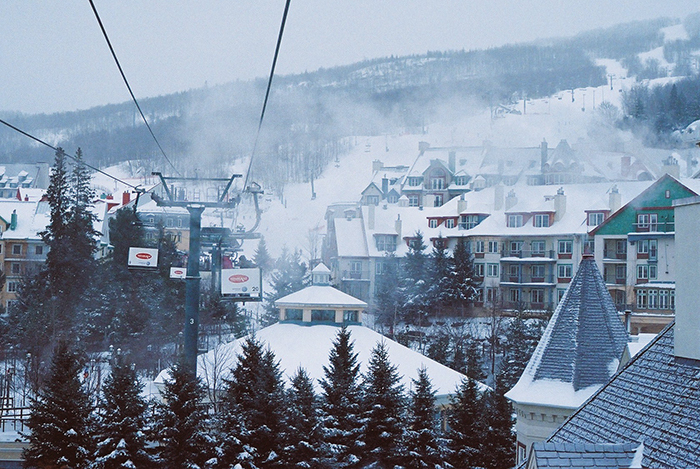 I didn't realise Mt Tremblant was 2.5 hours from Ottawa, but it looks like it's worth the drive, for sure! Have a fab time in Vancouver. PS loving the feel of the new blog. 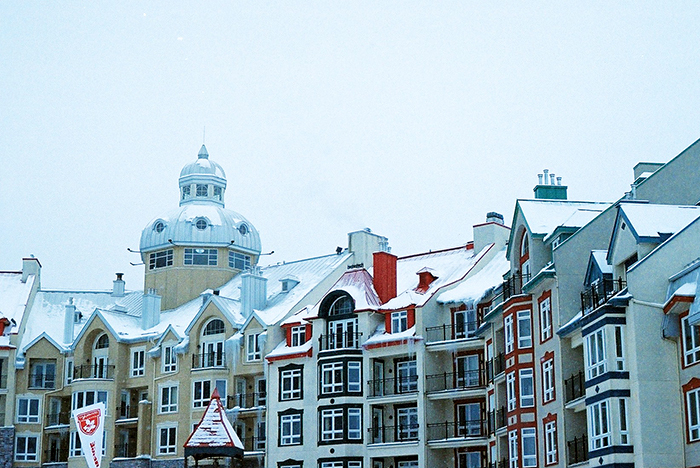 These shots are amazing and now I've got to add Mount Tremblant on to my list of places to visit, it's so beautiful! Thanks so much, Hannah! Yeah its a bit of a drive, but it is definitely worth it since there are no big hills near us. So flat here! Thanks Steven! 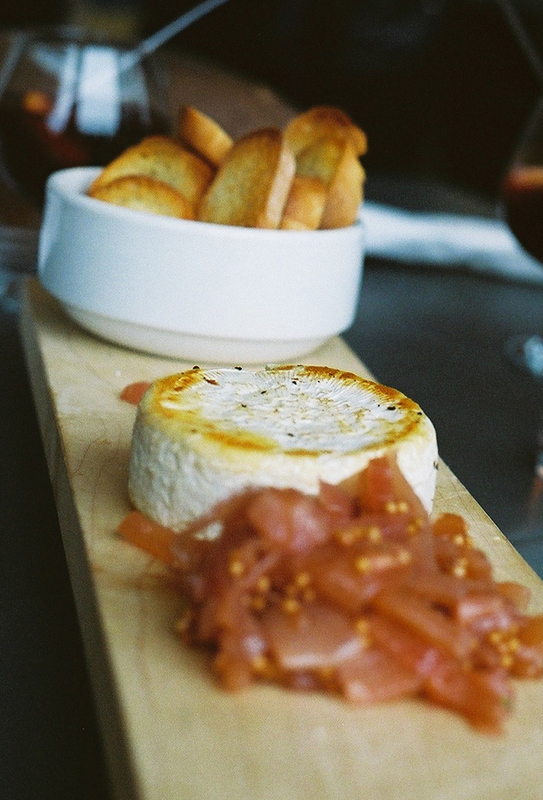 If you come out this way, you should visit Montreal as well, its lovely! Looks so pretty, and actually really colourful. What were the slopes like? This looks like such a sweet little village! I'd really love to explore more of Canada than Toronto, Montreal and Ottawa. What a fabulous place! Very scenic.